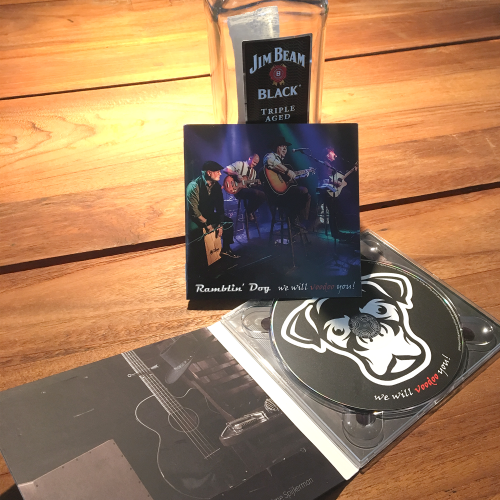 Ramblin’ Dog debut album ‘We will voodoo you’ is a startling statement – it’s dark and exciting, the rhythm work is neatly stripped-down as it lays a firm foundation for the intricate guitar play that creates vibrant, immediate music that’s firmly rooted in tradition yet ruled by a playful sense of adventure. With the extra layer of harp playing, finds the listener eagerly wanting to replay the album in its entirety. The singer himself approaches the music with a startling mix of authenticity and enthusiasm. My advice here is turn off your phone, pour yourself a whiskey and let the ramblin’ dog take you off on a blues journey.